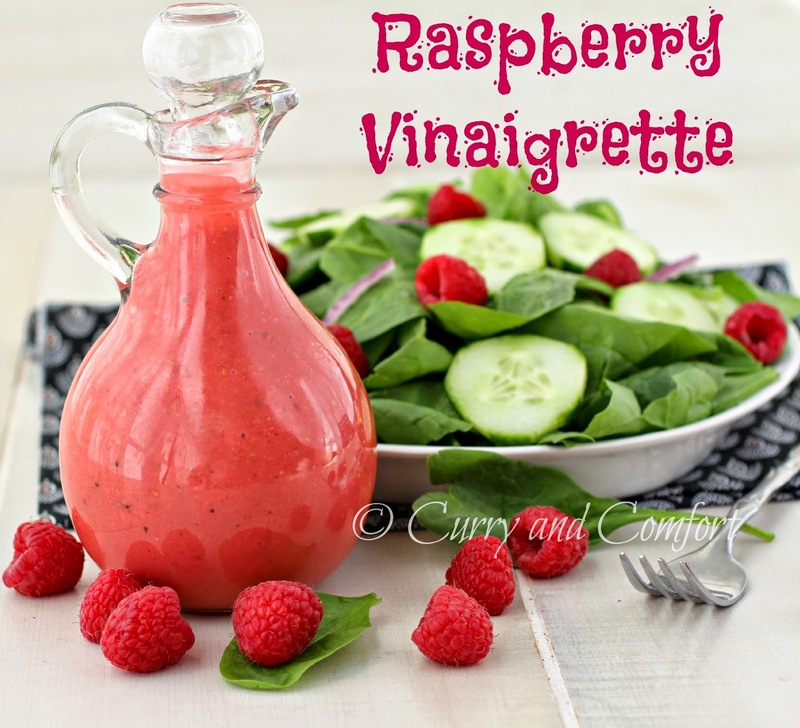 I love a tangy dressing over salad, with carrots sticks or to serve with grilled chicken. 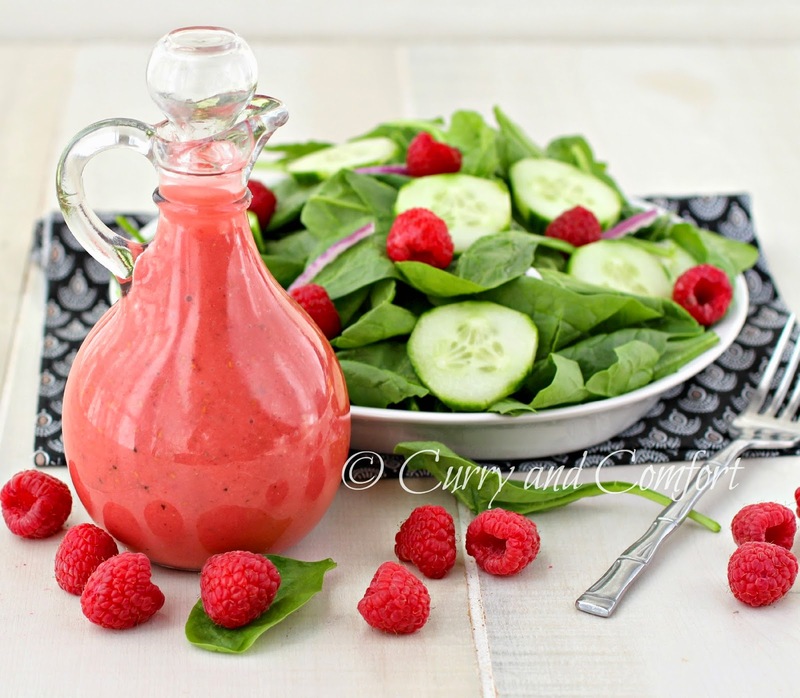 I have tried bottled raspberry vinaigrette before, but I have always wanted make my own fresh version. This dressing was so easy to make and I loved it from the very first taste test. Okay, I have to confess I did something really weird because I liked the dressing so much. I put some in a tiny bowl and ate it like it was some kind of tangy soup. Crazy right!?! Hey, let's just say it was quality control and I was checking to make sure I liked the flavors....nothing weird going on here. Ha! ha! I was not the only one that loved the dressing. 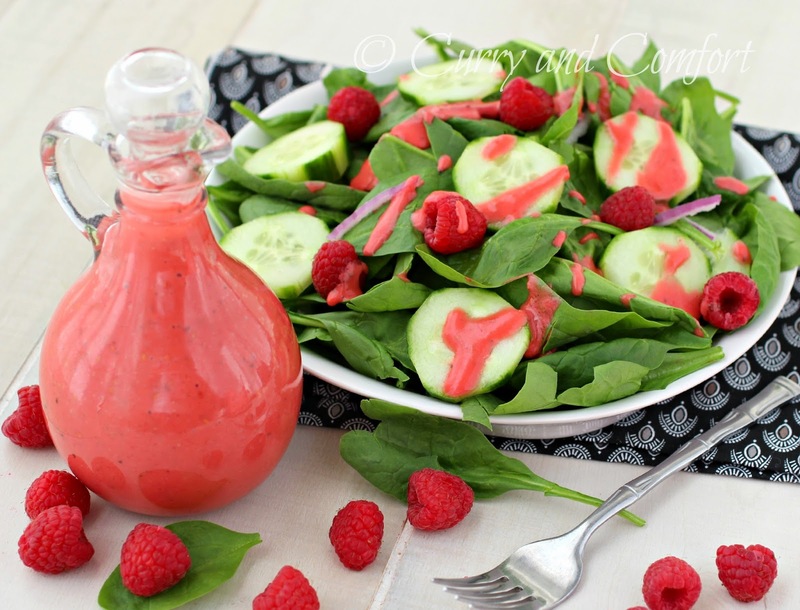 I knew my daughter, who loves the color pink and raspberries, was going to love the dressing too. The big surprise was that my son was also excited to try this dressing. He can be my picky eater sometimes and I never know what he may try and what he will out right refuse to try. They both loved the tangy zip of this dressing. Of course, if you want your dressing more on the sweet side, adjust the sweetener as you wish. There is one tip I want to leave you with before you make this dressing yourself. It's about the raspberry seeds. 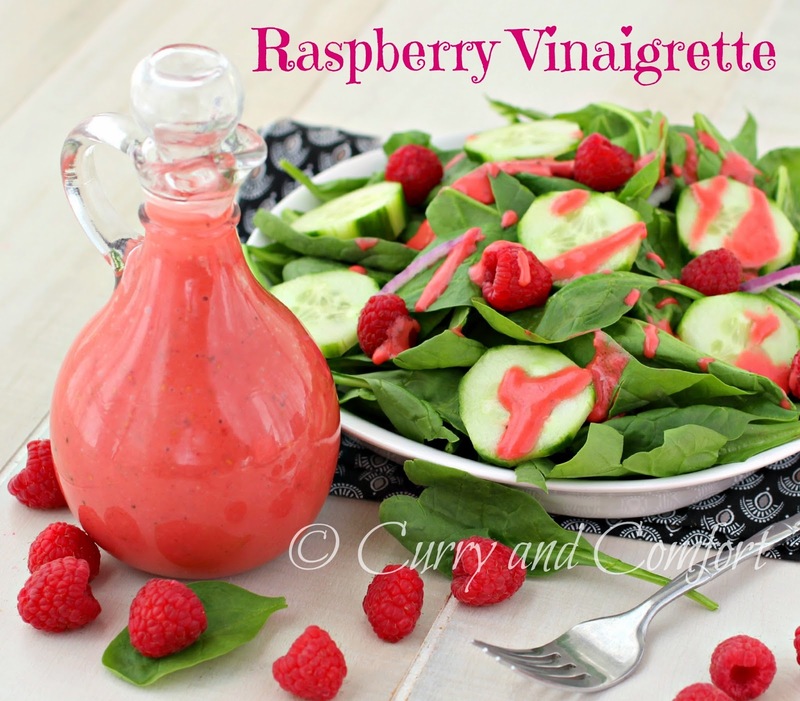 Now, if you don't mind the seeds in raspberries, just whip this up and serve it right away. If you want to serve this to company, I would suggest straining this vinaigrette to get rid of any seeds first. ** Note: Add sweetener to taste depending on the sweetness of your raspberries. Wash raspberries and allow to dry on paper towel. Place all ingredients into blender or processor and blend until smooth. 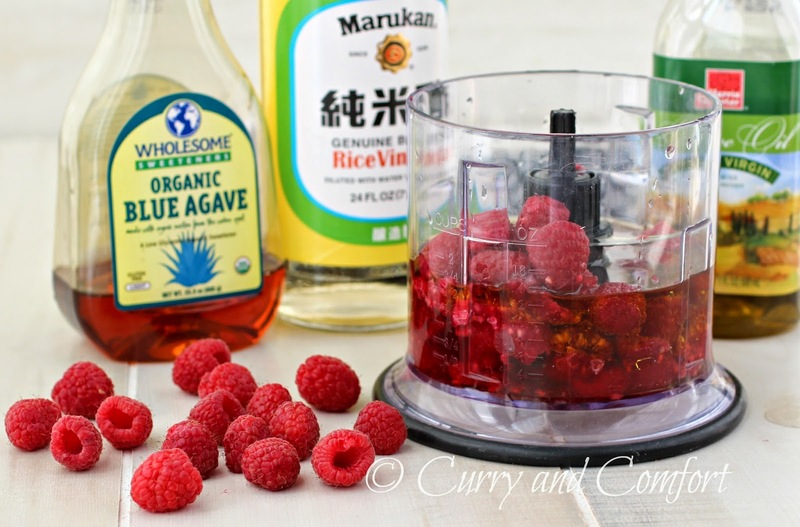 If you do not like the raspberry seeds in your dressing, strain through a mesh strainer before serving. Chill and serve over salad or with grilled meat. Enjoy. The pictures are gorgeous! And the recipe lovely! Pinning it. I've tried a bottled one and the texture was horrible. This will be a much better option. oo i love this! my son loves carrot sticks dipped in dressing, i'm trying to break away from the ranch. will definitely try this instead!